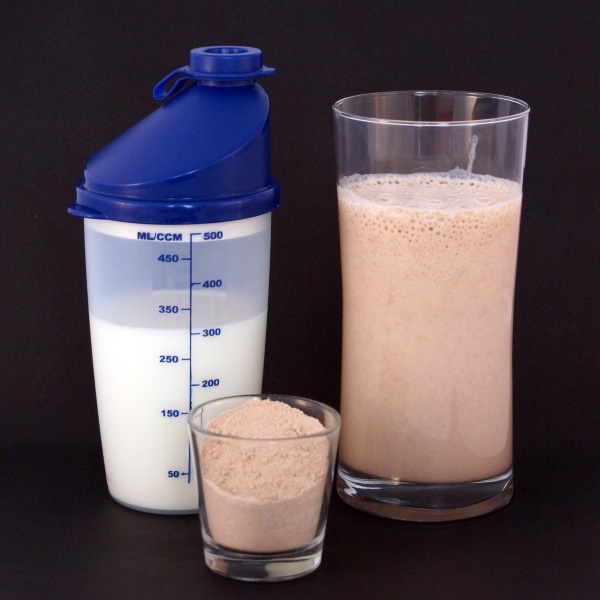 In the fitness community, there are people who suggest drinking a whey protein shake before the workout is much more effective at powering your muscles and stimulating growth than drinking it afterwards, and there are of course the people who would say that drinking a shake both before and after the workout is the best way to go. But what does science have to say about these propositions? A study from the University of Birmingham recently explored the subject and found out that pre-workout shakes had superior effects on training compared with post-workout ones. The subjects were 17 young adults in their 20s who were divided in two groups: the first group drank their whey shake immediately before training on a leg-extension machine, while the second group took their shake an hour after finishing the workout. Both of the groups performed the same workout routine. Then, the researchers measured the amount of the amino acid phenylalanine absorbed in the leg muscles of all subjects and spotted a difference between the pre-workout and post-workout group during the fifth hour after the end of the training. The results had shown that muscles absorbed much more phenylalanine when the subjects were given whey protein shakes right before the start of their session, which resulted with an increase in muscle protein synthesis. This means that although there’s no harm in drinking a shake after your workout, you could benefit a bit more from it by drinking it within an hour before the training. That being said, experts agree that the most effective way to increase the anabolic response of your muscles is to drink one shake an hour before you start training and a second shake one hour after the training.